With the continuous improvement of modern quality of life, leisure chairs, loungers and other outdoor furniture more and more consumers. In the purchase of outdoor furniture, should focus on the choice of material, we can say what kind of material used to determine the practical and durable outdoor furniture. In Xiamen outdoor furniture market, metal products such as aluminum alloy is more popular best-selling products, relative to the iron furniture is not easy to rust more durable advantages, without having to spend as expensive to buy stainless steel products. Not only simple and beautiful, maintenance is also very simple. The rattan class outdoor furniture has been very popular with consumers, in recent years, a trend is less wood vines, because the durability of wood vine is poor, vulnerable to sun and rain and insects and other reasons in a Two years on the crisp damage, poor durability, cost is not high. The current popular rattan outdoor leisure tables and chairs is mainly made of environmentally friendly PE material imitation rattan, non-toxic and harmless at the same time also has more colors to choose from. 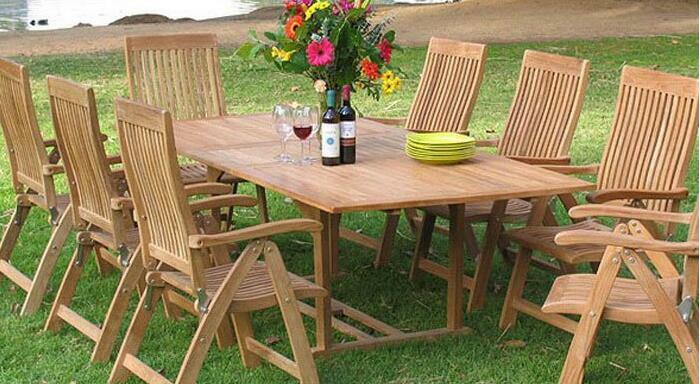 There are many families like wooden outdoor furniture, because such furniture is more sense of quality. In general, the use of teak made of outdoor furniture is more upscale, the price is the most expensive, and red cherry wood, Ash and other wood is more common outdoor furniture wood. Solid wood outdoor furniture generally do not paint, but try to keep the wood material natural skin texture; because after painting, paint and other issues due to aging and easy to turn up and turn flowers, resulting in each year need to paint, so not durable Outdoor furniture is not only not affordable, but care is very troublesome.